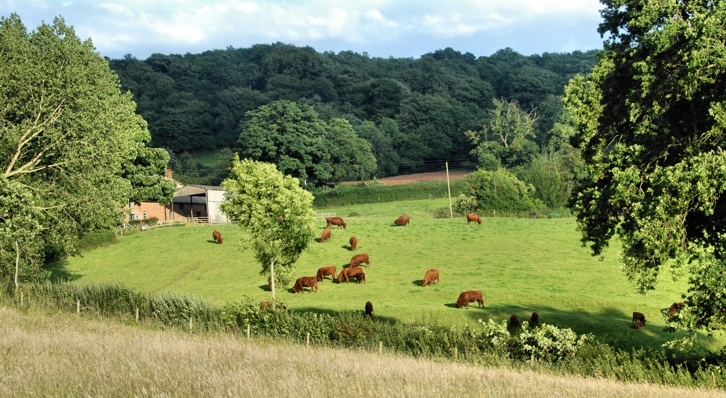 A traditional, organic farm in the heart of East Devon. Just three miles from the coast at Sidmouth, the South West Coast Path and the World Heritage Jurassic Coastline. There is just one holiday house at Blacklake Farm. The Hay House is a beautifully restored and furnished self catering Landmark Trust style holiday house with far reaching views of classic Devon countryside; Dartmoor to the west and Exmoor to the east. It offers total peace and tranquility , amidst the seasonal ebb and flow of traditional farm life which you are welcome to enjoy. A real Devon holiday. Blacklake Farm also sells fine quality meats from traditional breeds of cattle, sheep and pigs which are all born, bred, reared and finished on the farm, then locally butchered and hung for the correct times to give optimum flavour and tenderness.